When building the home, one of the most exciting moments and milestones is getting to the roofing stage. At this stage, the building is close to being completed, and potential landlords cannot wait to move into their new homes. Just as exciting as this stage can be, it is also a critical part of the construction process. There are several roofing materials required at this stage of the build. These materials are available to developers, architects, and builders and it is advised that the materials are sourced from reputable and trusted suppliers of building materials. Below is a brief overview of the different roofing materials required at this stage of the job, ranging from the traditional ones to the more modern materials. Shingles share some similarities with roof tiles, as they are also laid in overlapping rows. Shingles are available in several materials which include slate, wood, cement, metal, plastic, and asphalt, allowing the homeowner to choose based on preference and of course, budget. Each material comes with its unique benefits. However, a common benefit of using shingles is that no specialised accessories are required for roof edges. Roof shingles are also quick and easy to install, making them a perfect choice for projects that have short turnaround time. Shingles are quite captivating and attractive as they are available in different textures and colours, allowing for the creation of different roof styles. Roof tiles are common and particularly famous for being used for pitched roofs. Roof tiles are made from terracotta or slate. However, concrete and plastic roof tiles are now available for builders. They are laid in an overlapping formation, making them an effective option for keeping out the rain. Roof tiles can be used to create unique projects and exciting styles when hips and ridges are used. Flat roofs have evolved from the traditional flat roofing materials to become excellent roofing materials, especially for single storey extensions. The addition of materials like vinyl, rubber, and fibreglass has created more effective and somewhat modern flat roofs. Developers and architects are also beginning to embrace the use of green roofs especially due to their environmental and economic benefits. As the demand for new homes rises, developers and builders are finding it difficult to get new plots to build on. This has led to developers taking advantage of the space in roofs to make extra rooms. Roof domes, windows, and sun tubes have become synonymous with attic conversions. This choice of roofing materials allows natural light to get into dark areas of the house. CNC Building Supplies Limited is a reputable and trusted supplier of building materials, providing a wide range of building materials to developers and builders alike. 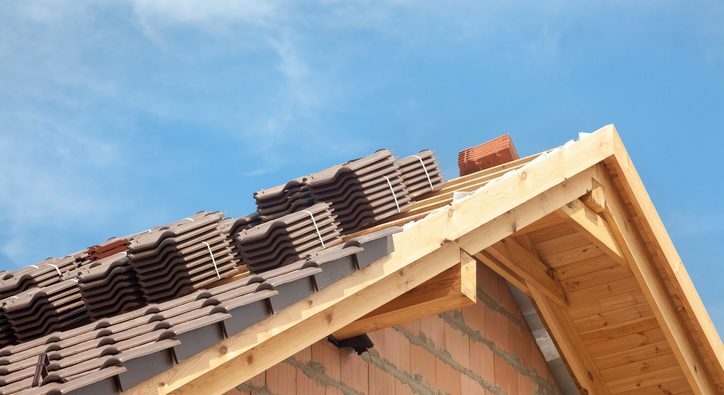 CNC offers products from leading manufacturers of building materials in the United Kingdom, offering a variety of roofing materials that include flat roofing, felt, guttering and downpipes, fibreglass roofing, and roof tiles and slates. CNC offers same or next day delivery to locations across the United Kingdom, ensuring that your roofing job is not truncated for any reason.